Perfect footlocker for dorm life and beyond. Dorm Co. Tip: Who says trunks can't look good without costing a ton! When it comes to your college supplies, it is essential that you get the most use out of your dorm items to make life easier for you. A small dorm room only allows for so much space, so versatile college items that can be used in multiple ways is key to a well-organized dorm. This is why no college student should leave home without a dorm trunk! The right college trunk will help you carry your dorm essentials with you on move in day and keep being useful throughout the semester. Not only will your dorm room trunk help you store some college supplies that need a home, it can also add to the style of your dorm decor if you choose the right look. 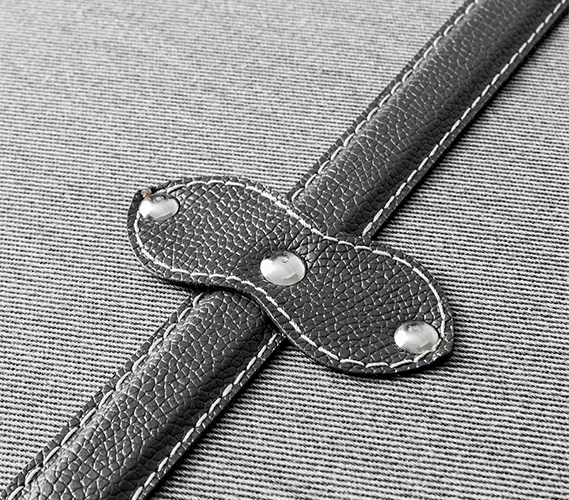 The Sorority College Dorm Trunk - Dark Gray Stripe has everything you need to utilize it as essential storage space in your dorm room as well as a unique piece of college decor. 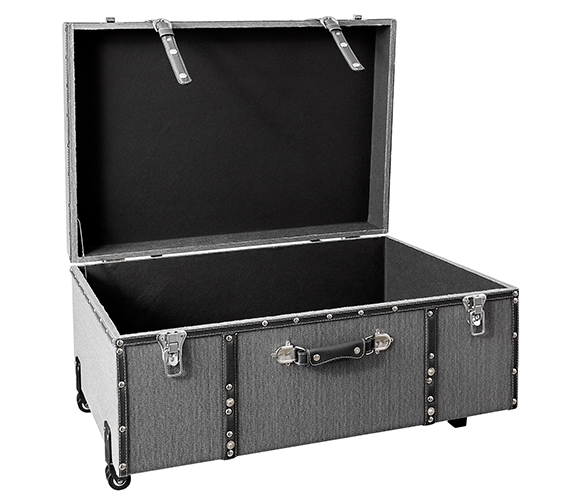 This dark gray dorm trunk comes with a carry handle and wheels, so it can easily move into your dorm room with you. Once there, this durable college trunk can be used to hold extra Twin XL bedding, clothes, textbooks, or whatever dorm supplies you don't have room for. 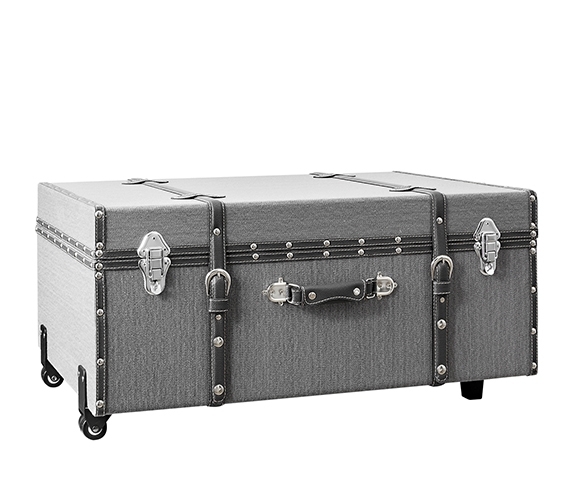 And since this stylish dorm trunk looks amazing, it will help to upgrade the look of your college decor. 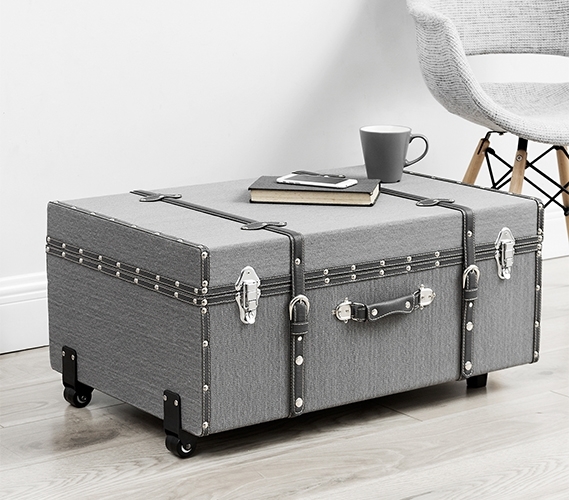 Multiple uses, sturdy construction, and a fashionable look make this dark gray college dorm trunk an essential part of your dorm room!